My L'il Crafty Corner - Layouts, Photo's and More! Hi everyone! After a lot of thought, I have made the decision to leave this blog as it is and start fresh and new! Please visit my new blog "Life In The Fast Lane"
Hi everyone! I've been away from blogging for a long time. I haven't been scrapbooking but I have been taking some photo's so I want to share some with you! Hope all my friends and followers are doing well! Life here has been hectic - son just went back to school, 3rd yr University and daughter just started Gr 11. Time sure flies. So, enough about me! I want to share these photo's with you! A couple months ago, my mom and I went to St. George's Anglican Church for some history and a "Ghost walk" which was really neat! Mom and I compared photo's and we have some of the same, but yet not! Spooooky! These 2 stones were down at the end of a lane. My mom has same photo, but no orb by the stone? Interesting! Again, those orbs - or are they something else? Sibbald Burial Ground - more orbs! It's supposed to be spring here but we had one heck of an ice storm this past few days! The kid's had a "snow" day Thursday, so a nice 5 day weekend after being off for March Break. Can I be a kid again?? The freezing rain left many without power for hours, a lot of downed trees, branches .. a huge mess. But it's beautiful at the same time. I ventured out and took some photo's ..
Our theme this month at Lasting Memories is "Thankful" and this weeks challenge was to create a layout about someone who is or was special in your life. 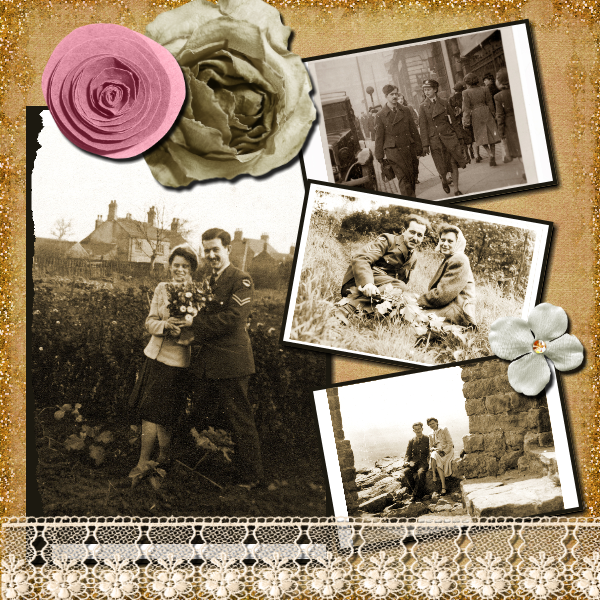 This past Wednesday was Rememberance Day and I was sent some photo's of my grandparents who met in WW2 so I did a digital layout. Been awhile and I couldn't remember how to access it after I saved it! My grandparents are both gone now, but she was a nurse and he was a soldier in WW2 and from there they went on and married, had 6 children. It's neat to see these photo's but also to have that piece of history in my family. Our theme is Things With Wings and I couldn't resist these images from the Knight Owl collection! Hop on over to DSC and have a peek at the rest of the DT work! Thanks for stopping by and happy September! 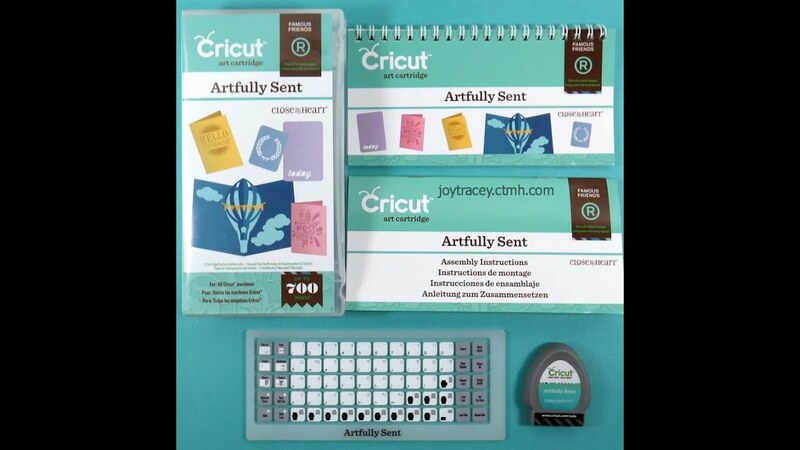 Have you had a peek at the "Artfully Sent" cricut cartridge from CTMH? It's a cartridge full of awesome card ideas and pop up ones too! 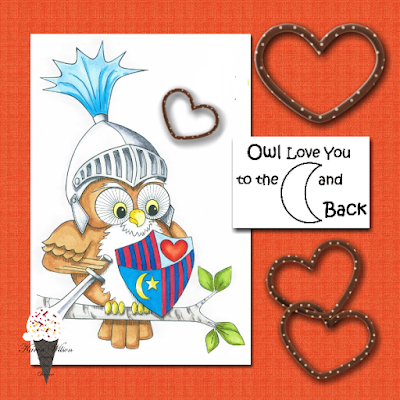 Is that not the cutest baby card! Thanks for stopping by! Check out my "About Me" page! Wife and mom of 2 kiddo's- Ashleigh (16 this yr) and Andrew (20 this year!) 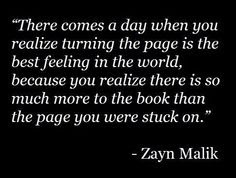 Keeping up with life the best I can! 2 jobs, oldest in University .. life gets crazy so scrapbooking and photography is my outlet when I get there. Thanks for stopping by!